Well it has been a really busy couple of weeks! Things are going well and I´m alive so that´s the good news. 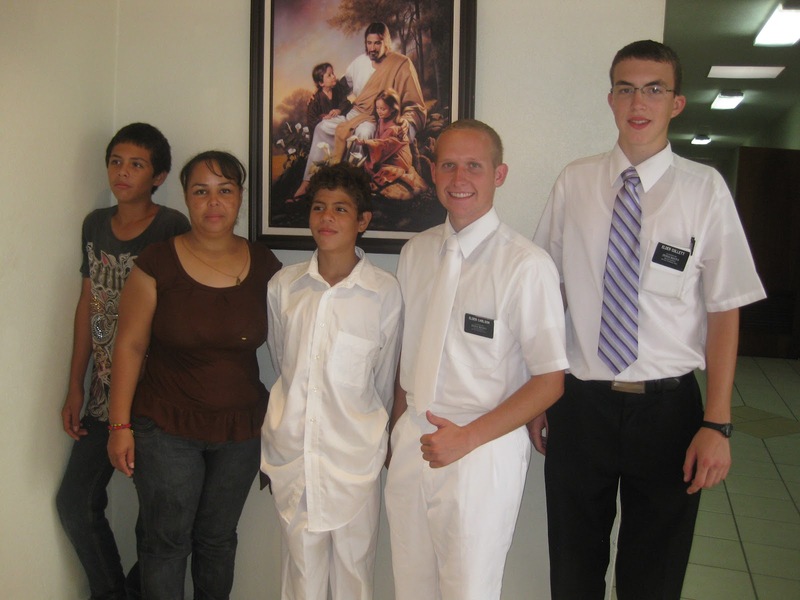 Last week we were busy with transfers and Elder Lopez, Elder Lopez (my big hearted old companion), and I were really busy running around seeing people. We stayed at the Staff House and the next day I said goodbye to E. Lopez and recieved my new companion E. Collett! 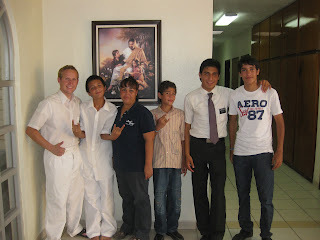 He is from Vernal Utah and just got here in mexico so it´s been pretty exciting showing him what´s up here in Culiacán. I´m in the same area, so none of that stuff changed luckily. Last week we had the chance to baptize Senovia, one of the doughnut ladys, and everything turned out really well! 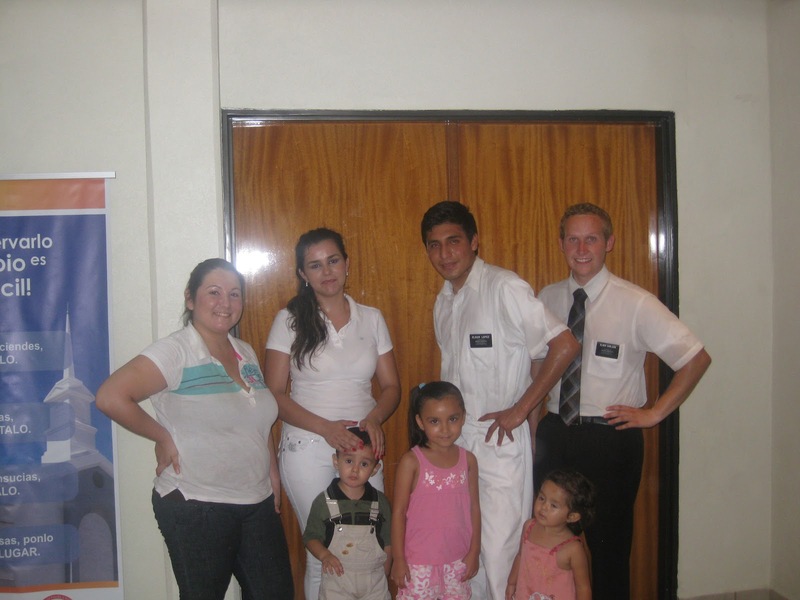 She´s been doing well and with thing that her sister Elda might get baptized soon too. She still hasn´t decided on a day but we were teaching her a lot about the Espíritu Santo (Holy Spirit) the other day. They´re really cool and it´s been awesome to see the changes they have made in their lives now that they´ve been able to learn about the gospel. I don´t remember if I talked about Luis the other week, but there´s a couple kids we have been teaching that we met one night at a Noche de Hogar (Family Home Evening) activity. He got baptized last week and his brother Isaac decided to get baptized on Saturday too. Both of them are doing well and we´ve been talking a little with the mom. She is really nice but told us ¨now don´t go thinking you´re going to baptize me next¨ or something like that haha. There´s a lot of cool people in that colonia we´ve been visiting and it looks like we´re going to teach their neighbours some too. They were asking us some questions about the church after the baptism and we got to explain a little about our purpose here in this life, and gave them a couple Libros de Mormon. It´s pretty fun being with E. Collett and I´m sure he´ll learn spanish fast because he seems like a pretty smart guy. It´s funny though because it reminds me about when I just got here too. A lot of times he looks like he has know idea what´s going on and the same thing happened to me.. We ate with the Bishop yesterday and we want to start warking on a new mission plan for the ward. We´re going to try and have some of the members who live near our investigators come with us to visit them when we share lessons. It´ll be easier helping them to make friends and feel comfortable when they go to church on sundays. Hopefully we can plan it all out well because sometimes it´s hard passing for a ton of people by ourselves on sunday. Aside from that things are going well and we´ve been really lucky with the weather this week. Pretty much everyday has been cloudy and it´s rained off and on, so we only had one really hot day. The weather is really random here sometimes but not as bad as I thought it would be either : ). Hope everybody is doing well and it´s good to hear that everything is going well with those who are now starting school again. Thanks for all your words of support, prayers, and love! Have an amazing week and I´ll keep you all in my prayers too.